ATLANTA, GEORGIA: Zyrobotics, a technology start up company, announces the introduction of TabAccess, the first device of its kind delivering easier access to both Android and iOS tablet devices for children and adults who have challenges moving their hands and arms. More than 3 million people in the U.S. have limitations in their hands and forearms making it difficult for them to use tablet computers. The breakthrough TabAccess technology now gives this fast growing population the ability to interact with tablet apps in a way they haven’t been able to do before. 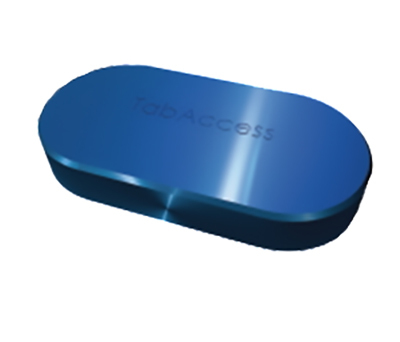 TabAccess enables easy use of tablets with accessible switches, sip/puff devices, grasp switches, and 4-input joysticks. With TabAccess apps become more accessible for adults and children with mobility disabilities. As part of the TabAccess launch, Zyrobotics has just released ZyroSky, one of the first switch-accessible gaming Apps for Android and also available on the Apple Store. For more information, visit http://www.zyrobotics.com.